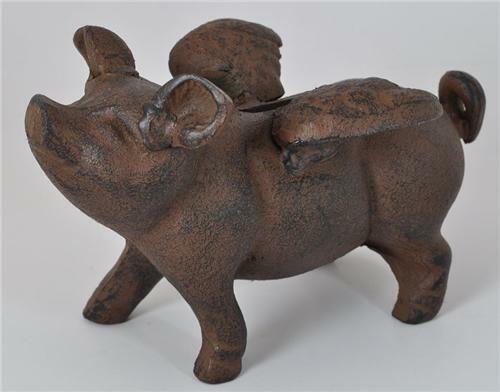 Here is a Vintage Style Cast Iron Flying Pig Bank that is quite heavy for it's size. (see photos) This one has that Old and Early Antique Vintage and Primitive Presentation!! Vintage & Primitive Style Cast Iron Dachshund Weenie Dog Doorstop Heavy! !